In my last post I explored one of the most monumental events in the history of British coinage, the Great Recoinage when the Master of the Mint decided to bring back the Sovereign as Britain’s new flagship gold coin. Now, I explore its truly timeless design created by Benedetto Pistrucci. As designer of the original ‘modern’ Gold Sovereign, Benedetto Pistrucci’s name has become synonymous with the coin. Born in Rome in 1783, Pistrucci took an interest in art from a young age and was trained by two of the leading engravers of the time. But his fate was not in Rome. He moved to Paris in 1814 and then to London the following year. And it was here that he really made a name for himself. Pistrucci became a successful and wealthy cameo designer and maker and in 1815 he met William Wellesley Pole, the Master of the Mint, who admired his work. Pole was barred from appointing a foreigner to a crown office but when the Chief Engraver of the Mint retired, Pistrucci succeeded him in all but title. As part of the Great Recoinage, Pistrucci was tasked with designing the new Sovereign. It was essential for the design to be considerably different from the Guinea to avoid confusion between the two coins. Pistrucci’s initial inspiration for the design derived from Lady Spencer, to whom he had been introduced to by the Master of the Mint, who showed him a wax model of St. George. Pole agreed that the patron Saint of England would undoubtedly be a fitting choice for the design for the new flagship coin. So, Pistrucci created his masterpiece using a waiter from a hotel in Leicester Square as his model. His St. George and the Dragon design featured on all Sovereigns and Half Sovereigns from 1817 until 1825 with a modification in 1820 when Pistrucci exchanged St. George’s shattered lance for a short sword. 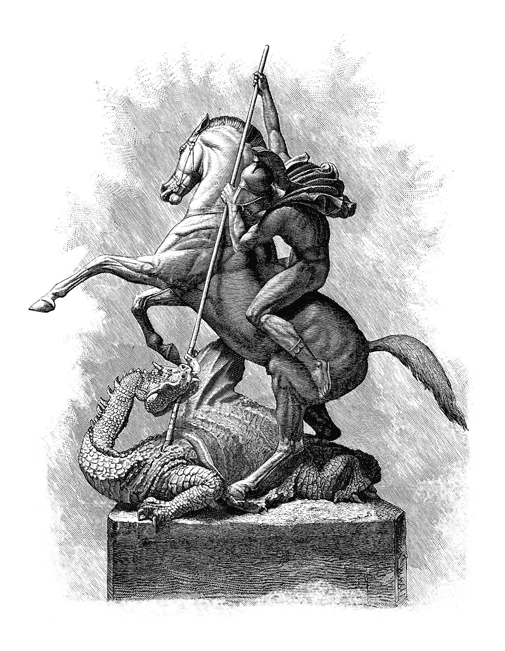 Pistrucci was removed from the mint in 1825 following in-house fighting and a dispute with the King over a portrait and his original St. George & the Dragon design began a 46 year exile. To mark the Bicentenary of the “modern” Gold Sovereign in 2017, The Royal Mint have just released a brand new Gold Proof Sovereign reprising Benedetto Pistrucci’s original engraving from 1817. 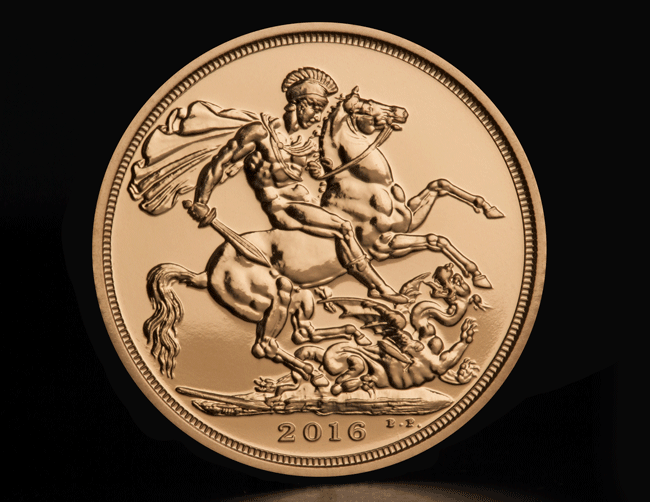 With a low edition limit of just 10,500 worldwide, a special one-year-only design change and a fine proof finish, the 2017 Bicentenary Gold Sovereign has all the elements to be one of the most collectable British gold coins of the 21st century. And now you can own one.